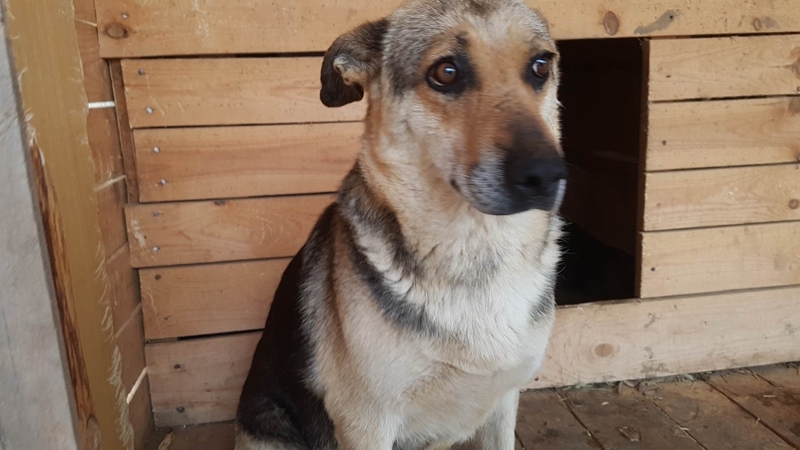 Rosie is a beautiful German Shepherd X, she is vaccinated, micro chipped and spayed. This little girl came to us from Bosnia where she was rescued from the woods along with her eight puppies. Rosie was an amazing Mum as she kept all her puppies safe and alive in what must have been horrendous conditions. All her puppies have been rehomed so Rosie is now on her own. Rosie needs a relatively quiet home with a family that have the time and patience to help her cope with the cultural changes she will face. 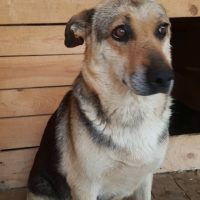 We do not know if Rosie has ever lived in a domesticated home, and whether she is good with other dogs or cats, so to start with she needs to be an ONLY dog. Rosie was very friendly towards her rescuers and put amazing trust in them. This beautiful girl is amazing, however she is incredibly nervous due to the change in her surroundings though she is starting to settle. If you feel you can give Rosie her happy ever home after please complete our online Adoption Form.